Join our multi-disciplinary staff in providing a rich social learning experience for children and young adults with special needs in a 6-week internship this summer. Want to help people but not sure which career is right for you? This is an excellent hands-on opportunity for college students who want to be exposed to many helping professions to solidify their career choice. We have general and special education teachers, speech pathologists, occupational therapists, behavior specialists, counselors, school psychologists, registered nurses who train/supervise college students in providing social, emotional, behavioral and communication support. Interns assist with producing the camp from camp orientation day to clean up at the end of the summer, and can serve many hands-on roles at the camp including a Team Leader or One-to-One Assistant. 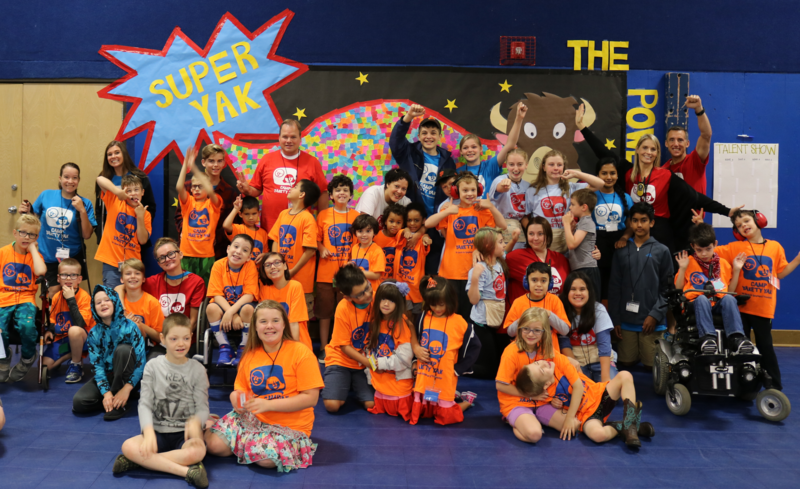 Team Leaders are responsible for a group of 10 campers with and without special needs and help them engage positively with each other and participate in all camp activities. Team leaders develop leadership, organization and collaboration skills; positive behavior management strategies and meeting individual needs within a group dynamic. One-to-One Assistants support one child with more sigificant needs participate in all camp activities and engage positively with others. One-to-One Assistants develop client/student/parent advocacy skills; how to scaffold instruction with appropriate models, prompts and cues; and assisting child to reach individualized goals. Interns can also serve on the Counseling Team, Technology Team, Nursing and Care Team, Behavior Support Team, Nonprofit Administration or Social Services Team, based on their field of interest. We are here to help you reach your educational and career goals!